UPPER EAST SIDE, Manhattan (WABC) -- A section of FDR Drive will be shut down during overnight hours over the next month to accommodate a construction project. 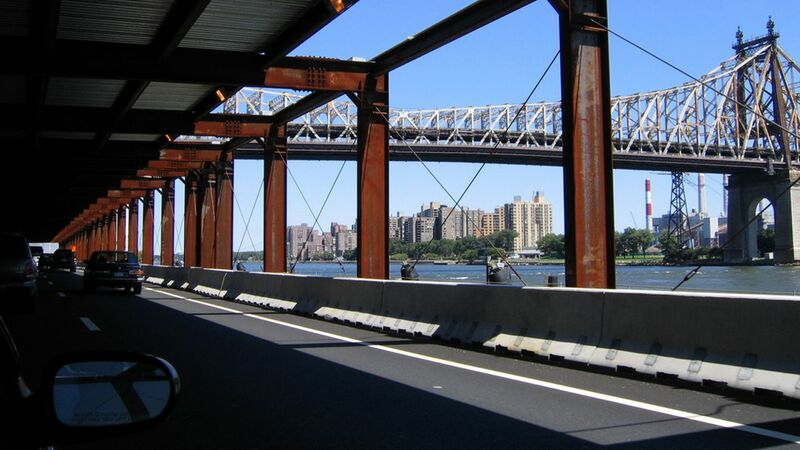 The New York City Department of Transportation said the FDR will be closed in both directions during select times between 61st Street and 96th Street through July 19. The closure will allow construction crews to build an addition at The Rockefeller University, which is being built above the roadway. Wednesday June 15, Thursday June 16 and Friday June 17 from 12:30 a. m. to 4:30 a.m.
Saturday, June 18 from 1 a.m. to 5:30 a.m.
Sunday, June 19 from 2 a.m. to 6:30 a.m.
A single lane closure will be implemented on the FDR Drive (both directions) at around 11 p.m., then a double lane closure will be implemented around 11:30 p.m.
During this project, drivers should anticipate delays near the work zones.